Losing a loved one is difficult. However, during this time, there are still a variety of tasks that must be undertaken and important financial decisions which must be made. You may need to make funeral arrangements, notify various financial and governmental agencies—not to mention family and friends, handle the individual’s estate and contemplate your own financial and emotional security. The following checklist is designed to help you navigate your way through the initial days and early weeks after a loved one has passed. Notify Family and Friends: This might sound obvious, but it is important that family and close friends be notified promptly. If you are unable to make these calls personally, ask someone close to you to assist you in relaying the news and the details. If family and/or friends do not live locally, they may need time to make travel arrangements to arrive in time for the funeral. Sometimes, airless will offer discounted fares when an individual needs to travel to attend a funeral. Make Final Arrangements: Unless your loved one made their own funeral arrangements during life, someone will need to coordinate these details at this time. If you do not already know your loved one’s wishes, you should look among his or her papers to see if he or she left any instructions regarding their wishes regarding their funeral, burial and cremation. You will need to contact the funeral home and, if appropriate, the individual’s clergy. If your loved one was a veteran, you may be eligible for burial and memorial benefits. Call 1-800-827-1000 to find the VA office nearest to you. Place an Obituary in the local paper: This should be run as soon as the funeral arrangements have been made. Obtain Certified Death Certificates: The family doctor or medical examiner should complete the death certificates within 24 hours of the death. The funeral home will then complete the form and file it with the state. Typically, it is the funeral home, which gives you the certified death certificates. You will need several certified copies of the death certificate to handle the individual’s estate and to request any benefits payable as a result of the individual’s death (such as life insurance, annuities and qualified retirement plan assets). Notify Social Security: Typically, the funeral home will notify Social Security of an individual’s death. However, if they do not handle that for you, call: 1-800-772-1231. If your loved one was receiving Social Security benefits via direct deposit, request that the bank return the funds received for the month of death and any subsequent months. Be careful to not cash any social Security checks received by mail. You should return any checks received by mail as soon as possible. Surviving spouses and other family members may be eligible for a one-time $255 lump-sum death benefit and/or survivor’s benefit. You can visit: ssa.gov for more information. Contact Financial Institutions: You should contact all financial institutions where your loved one held assets and ask that they put a freeze on the accounts in your loved one’s name. Likewise, if your loved one held any credit cards, you should notify all of such companies of his or her death and cancel all such cards. Collect Asset Information: Collecting information about your loved one’s financial affairs may or may not prove challenging. If you were not familiar with your loved one’s finances (as many children do not know their parents’ finances), collect the bank statements as they come in each month and each quarter. It may take a few months for you to gather all of this information. Also, you can review your loved one’s tax returns to see what investment assets they may have possessed. Life Insurance Benefits: If your loved one had life insurance, the death benefit of that policy can be paid to the designated beneficiary(ies) of such policy by contacting the insurance provider, completing the benefit claim form and providing the insurer with a certified death certificate. Often, it is important to collect the death benefit of an insurance policy promptly after your loved one’s death so that cash is on hand to pay funeral related expenses. You need not wait to collect the death benefit on an insurance policy until after an estate has been raised. 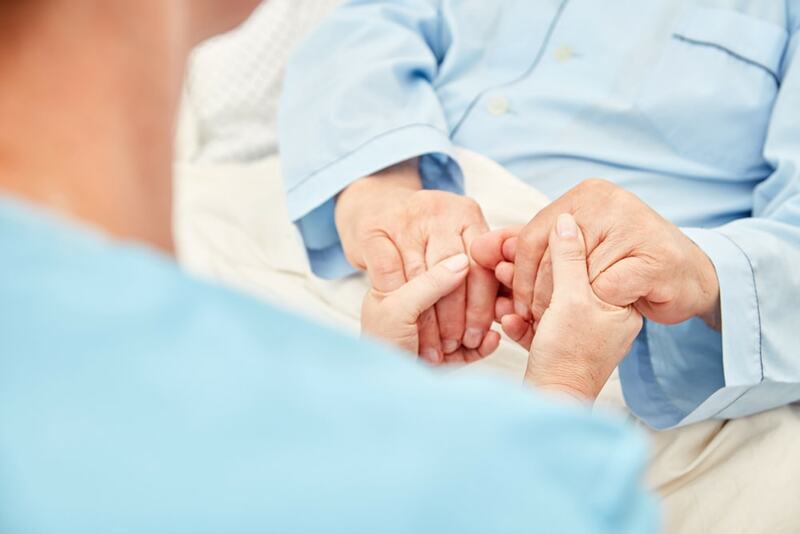 Raise An Estate: You may or may not need to “raise an estate” after a loved one has died. Raising an estate simply describes the probate process by which someone is legally appointed to administer the estate. When someone dies with a Will, this person is called the “Executor;” and when someone dies without a Will, this person is called the “Administrator.” Whether or not an estate needs to be raised will depend (1) on the size of the estate; (2) the nature of the person’s assets; and (2) who the beneficiaries of the estate are. If there is any question regarding whether or not an estate should be raised, you should consult with an estate attorney. If it is determined that you need to raise an estate, you should contact the Surrogate’s Office in the county in which your loved one was a resident at the time of his or her death and see inquire as to their locations, hours of operation and whether or not an appointment is recommended.